Say goodbye to memories of last winter Chicago, it appears this season is going to be a bit different. The Farmers' Almanac released its winter weather prediction Sunday and the forecast shows the one thing Chicagoans know plenty about -- cold. “We believe the Midwest is going to have some cold, very cold weather and average snowfall,” said editor Peter Geiger. The Almanac, which bases its long-range forecasts on a 200 century-old formula, predicts the upcoming winter season will also some frigid temps and snowfall of about 40 inches across the Chicago area. “You somehow escaped last winter and you had no winter last winter so I think we’ll make up for that,” Geiger said. According to the Almanac, snow will likely be sparse in November and December, but is predicted to pick up January and February. Dates to watch for include January 20-23 and February 12-15, which could see several inches of snow. “We talk about cold, but we don’t talk about any times when it’s going to be minus 10 or minus 20,” Geiger said. Last year, the Almanac predicted “exceptionally cold conditions” in the Northern Plains, Great Lakes, Midwest, Ohio Valley, Middle Atlantic, Northeast, and New England states. 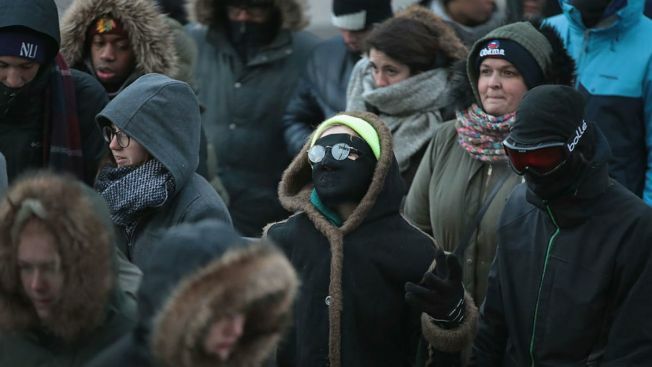 But on Feb. 17, the city instead broke a 137-year-old record for warmth with a high of 62 degrees.